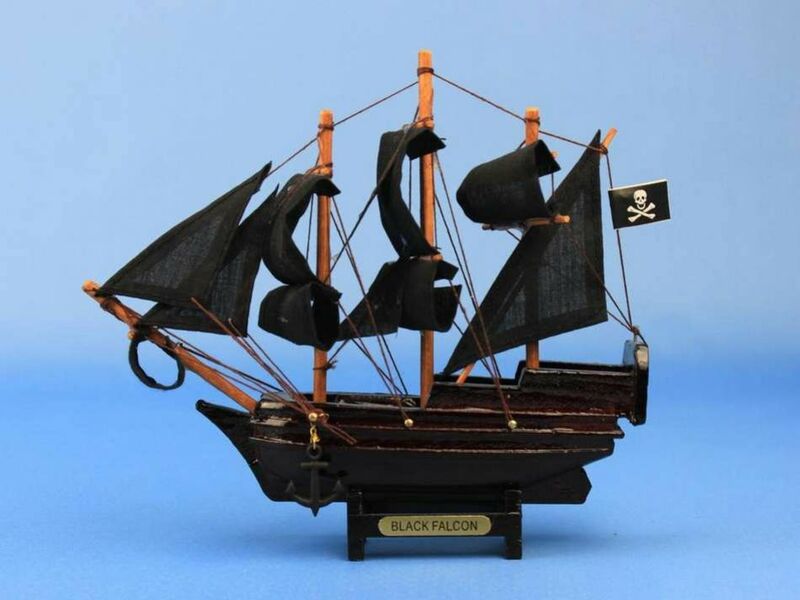 Recreated here in a delightful handcrafted 100% wooden toy model, Captain Kidd's notorious Black Falcon is brought to life. 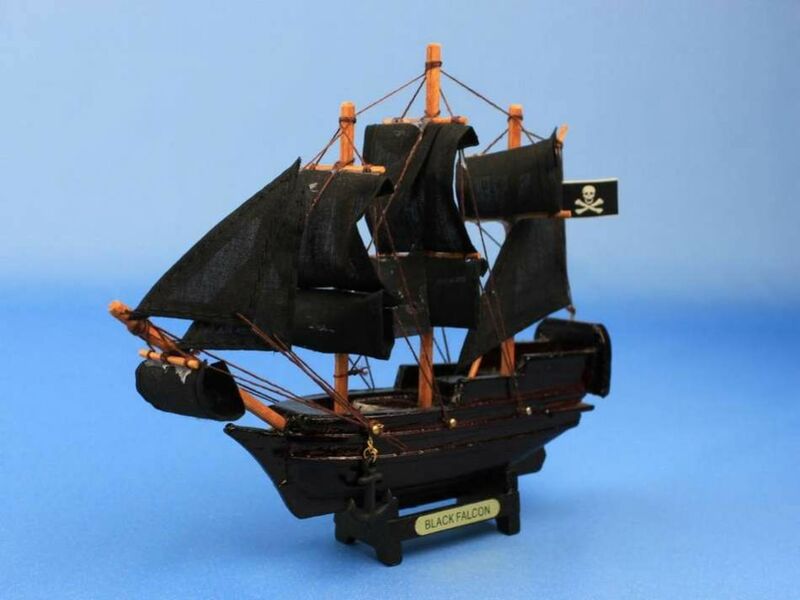 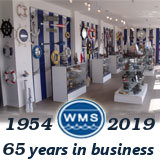 With complete detailing, metal nameplate, and 7" size, this ship is perfect as a gift for any child or nautical enthusiast. 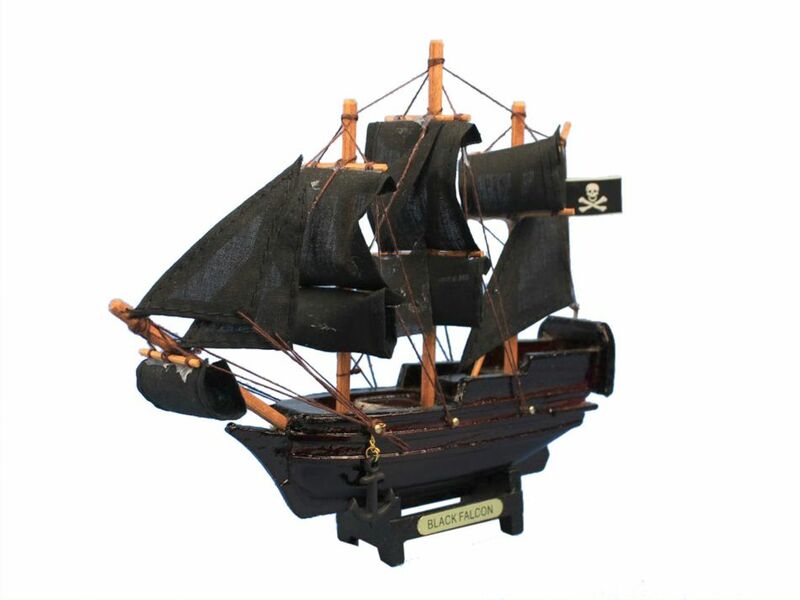 Add a touch of genuine pirate decor to any room or office, and enjoy the presence of one of the most feared ships to ever sail the seas.